After the death of his sister, Arden, Winston finds himself in a car crossing the country with an unlikely group of Arden’s friends: a ticking time bomb, an open book, a determined pessimist and a hitchhiker that throws a wrench into their plans. 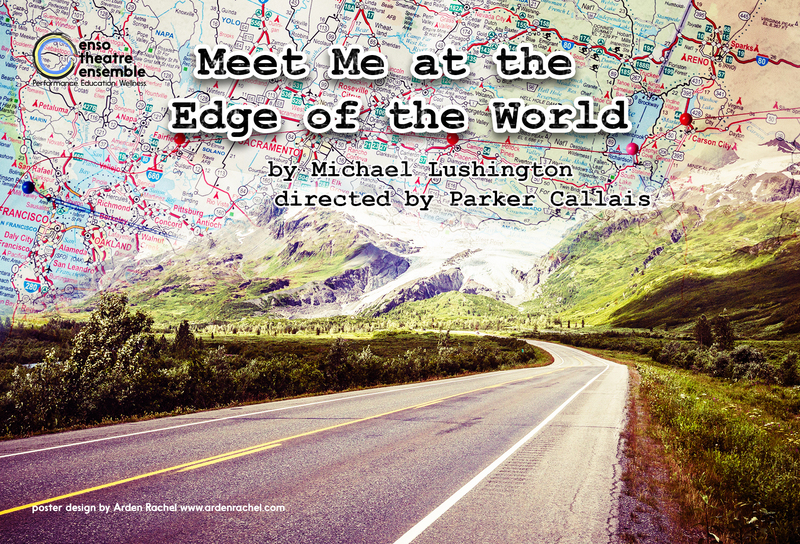 Moving swiftly between witty banter and poignant revelations (as only three days in a car with five teenagers can do), Meet Me at the Edge of the World is a new play that asks if we can be present in someone's life without insisting on an outcome for them. Every year we choose a young director to produce and direct a show of their choosing. We teach them how to self-produce, how to create a safer rehearsal space, and how to treat themselves with compassion. This year, that student is Parker Callais. Her fundraiser (www.gofundme.com/theroadtripplay) and these ticket sales are how we make this program available to everyone. There is no tuition charged for our student director mentorship, opening up the pool of young directors to anyone from any financial background.